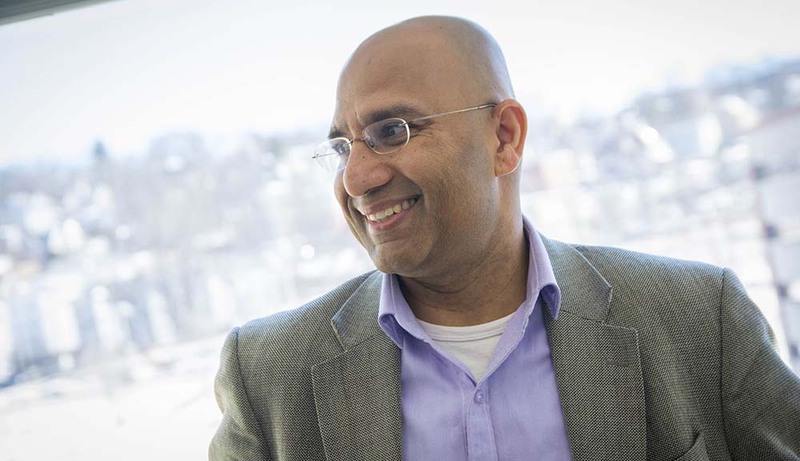 Jagan Srinivasan, a professor of biology and biotechnology, says his research with C. elegans nematodes offers insight--and potentially better therapies and treatments--into neurodegenerative disorders. I work in the areas of neuroscience and chemical biology, and I am interested in understanding how the nervous system detects, encodes, and transmits sensory information underlying social behaviors. Right from my childhood, I have been fascinated by the brain and how it controls our body. As a scientist, I believe the brain presents an exciting challenge to understand mechanisms controlling various behaviors. Hence I chose to study neuroscience. That we are nerdy and shy! I don’t think that we are either. We are fun loving and passionate people who love our jobs! I even go by the rapper name Dr. J! Creating scientific inquiry and collaboration on issues pertaining to biomedical sciences and challenging students to think creatively about their projects. Our research deals with understanding the mechanisms of gender bias in neurodegenerative disorders. We hope that someday some of our research can bring better therapies to these maladies. The environment that WPI provides for me and the students is that of collaboration and collegiality. Our building at Gateway Park has scientists from multiple disciplines and is like a melting pot of ideas. This allows me to interact with people outside my area of expertise. Likewise students from various disciplines interact and exchange knowledge. This I feel makes what I do fun and not a chore! I look forward to interacting with people every day when I come to work!